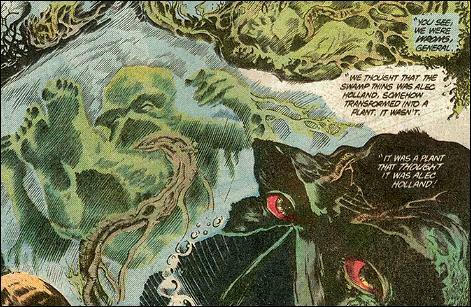 Moore took a relatively goofy, underutilized DC Comics character and used his unique brand of literary black magic to recreate the man-that-thinks-he’s-a-plant superhero into a plant-elemental-with-the-soul-of-a-man god. Dark, disturbing, and cerebral. 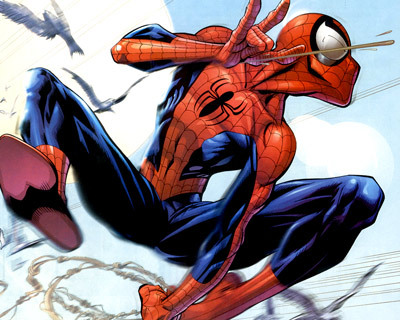 A 21st century update of Spider-Man, bringing the character and his mythology back to basics for a new generation. Witty, dramatic, genuinely moving–it’s like if Joss Whedon wrote Spider-Man. 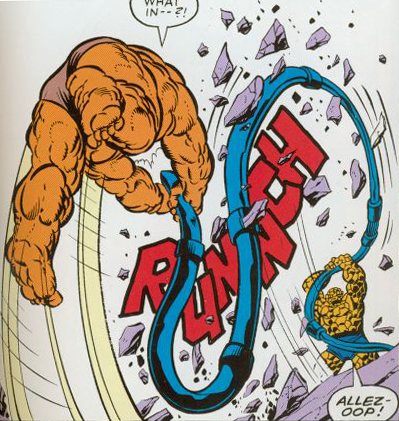 Possibly even better than the original Lee/Ditko stuff. 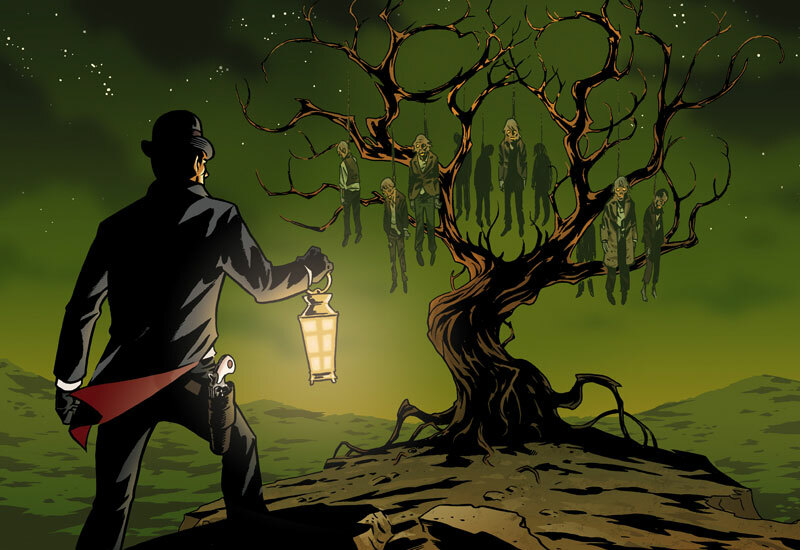 If The Sixth Gun (see below) is a Weird Western, this is Weird Science. 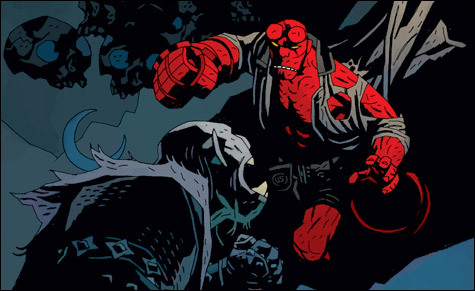 Imagine Hellboy was a 1930’s robot built by Nikola Tesla that battles Nazis, mummies, and giant insects. An epic of adventure, dragons, stupid rat creatures, and cow races. Starts innocuously, but quickly blooms into a massive, moving saga. Tolkien by way of Saturday morning cartoons. Mignola creates a dark, bizarre world in which all manner of supernatural beasts, from folklore both obvious and obscure, roam the earth. And there’s good ol’ American Satan spawn Hellboy to take ’em down. Weird, wonderful art. 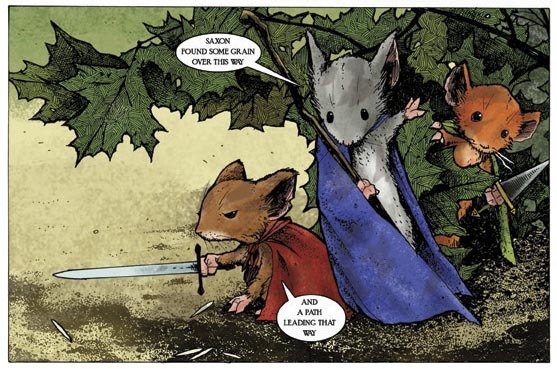 Petersen takes what could have made for a cute kid’s comic–talking mice with swords and capes–and turns it into a riveting fantasy epic in the vein of Lord of the Rings or Star Wars. The depth and breadth of his world, and his fine details, make for a becoming fictional universe. An ongoing Weird Western comic series. Six mystical guns must be kept out of the hands of evil men lest they be combined to bring about the Apocalypse. Part Deadwood, part Hellboy, all awesome. 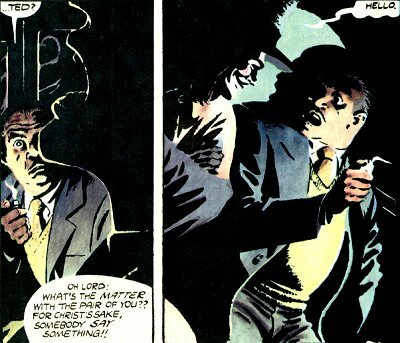 After Watchmen, here’s another bleak vision of the future from Alan Moore, this time of a dystopian England. It’s a complex, compelling tale of an anarchist in a Guy Fawkes mask working to destroy the government. How Alex views himself is most evident in how Kalesniko portrays him: an anthropomorphic dog in a world of humans (ugly, despairing humans, but still). Formerly an animator for a major studio, Alex now wastes his days away a miserable, paranoid failure. 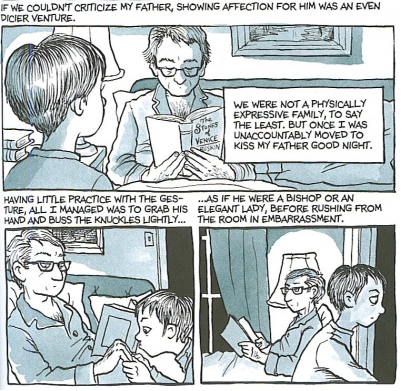 An autobiography on the level of Persepolis, Fun Home is a frank and honest examination of Bechdel’s life growing up gay and her relationship with her distant, unknowable father. 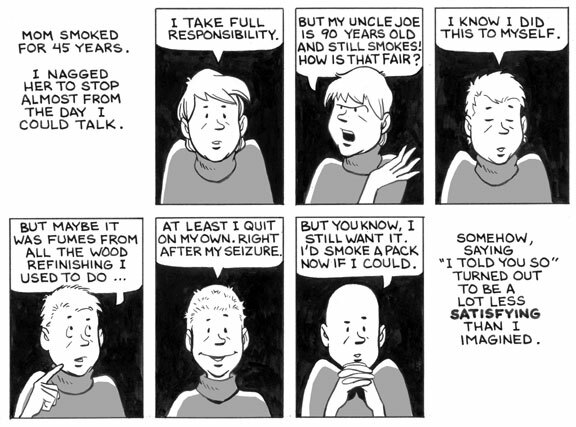 Originating as a webcomic before being published as a hardcover collection, Mom’s Cancer is one of the more moving portrayals of illness and the way in which families react to it that I can remember. 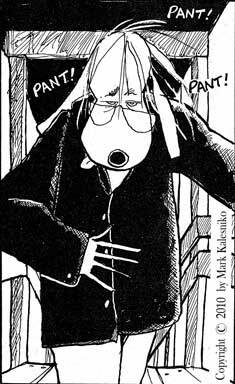 Fies is not afraid to dredge up his most painful, shameful feelings during that incredibly difficult time with his mother. Winick, now a major talent at DC Comics, used to be a housemate on The Real World: San Franscisco, and this is a powerful look at the transformative effect living with Pedro Zamora, a fellow cast member who was HIV-positive, had on him. A funny, observant strip about comics shop employees, their friends, their relationships, and just generally being broke. 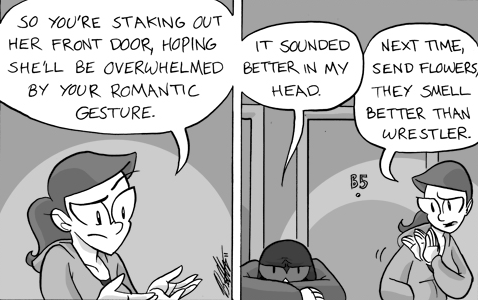 A thrice weekly webcomic by Canadians Joey Comeau and Emily Horne. Strips are generally three panels of photographic art with text. Recurring themes include sexuality, accidents or disasters, and zombies. Absurdist and dark. This entry was posted in Comic Book News and tagged a softer world, aids, alan moore, alex, alison bechdel, all new issues, atomic robo, autobiography, bill ellis, bone, brian clevinger, brian fies, brian hurtt, brian michael bendis, canada, canadians, cancer, candians, comic books, comics, cullen bunn, dark horse, dark horse comics, david lloyd, david petersen, dc, dc comics, deadwood, emily horne, england, fantastic four, fantasy, fun home, fun home a family tragicomic, gay, graphic novels, guy fawkes, hellboy, hiv, invisible girl, invisible woman, jeff smith, joey comeau, john byrne, john totleben, joss whedon, jrr tolkien, judd winick, literature, lord of the rings, mark bagley, mark kalesniko, marvel, marvel comics, mike mignola, mom's cancer, mouse guard, nazis, nikola tesla, non-fiction, pedro and me, pedro and me friendship loss and what i learned, pedro zamora, persepolis, photographic art, photography, rick veitch, sci-fi, science fiction, scott wegener, spider-man, stan lee, star wars, stephen r bissette, steve ditko, superheroes, swamp thing, tesla, the real world, the real world san francisco, the sixth gun, the thing, tolkien, tony weare, uk, ulimate spider-man, uncanny x-men, v for vendetta, vertigo, vertigo comics, watchmen, webcomics, weird western, western, x-men. Bookmark the permalink. ← In a hole in the ground there lived a hobbit.